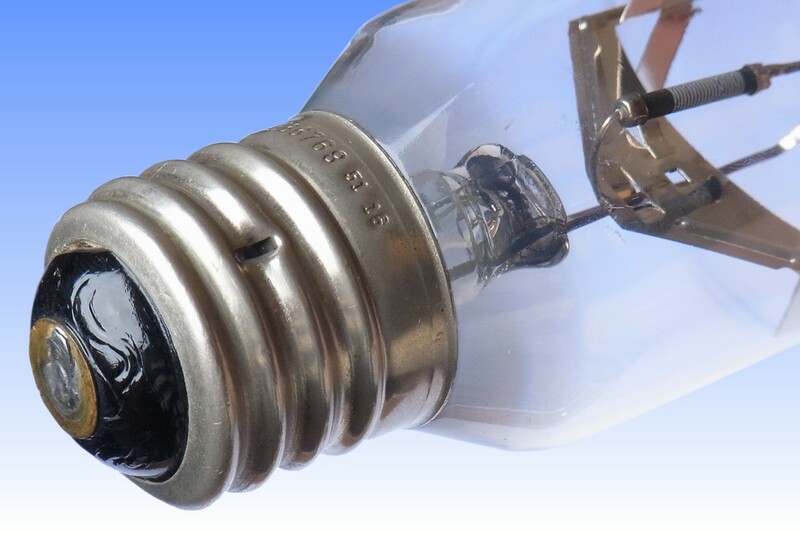 Dating to 1965, this is one of the first examples of the MetalArc metal halide lamps created by Sylvania. Its arc tube chemistry differs from the sodium-indium-thallium tri-band fill exploited by all other manufacturers at the time - Sylvania instead opted for a multi-line radiator consisting of the iodides of Thorium and Scandium. These generate light with improved efficacy, but at high colour temperature and cause severe arc constriction which leads to instability and flickering. Sodium iodide is therefore added as an arc-fattening agent which improves stability, also lowering colour temperature and further increasing efficacy. The shape of the arc tube is rather advanced for its time, with well formed pinch seals and end chambers around the electrodes to maximise halide vapour pressures. Coatings of zirconia serve as heat reflectors to maintain high temperature behind the electrodes. 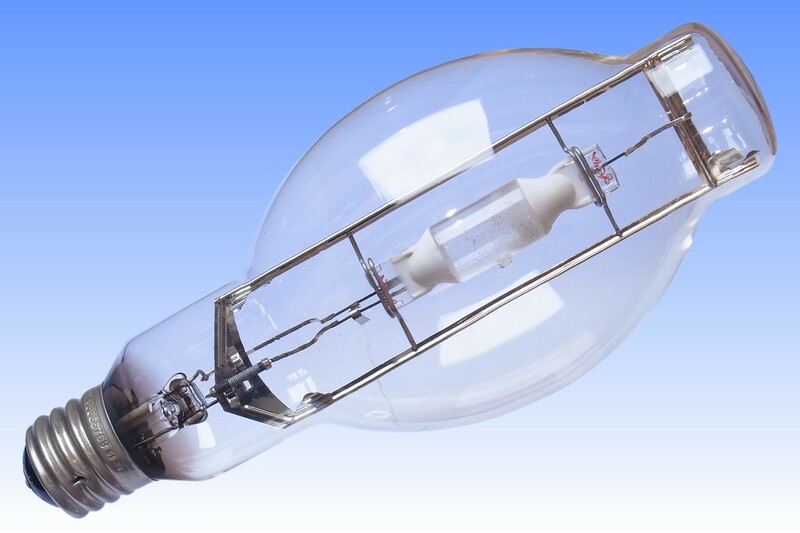 Sylvania was also first to change metal halide lamps from vacuum to nitrogen-filled outer bulbs, to reduce end of life arcing risks. This early lamp had many problems. Notably, the arc tube is mounted on Sylvania's famous 'girder frame', developed to increase the ruggedness of mercury lamps. 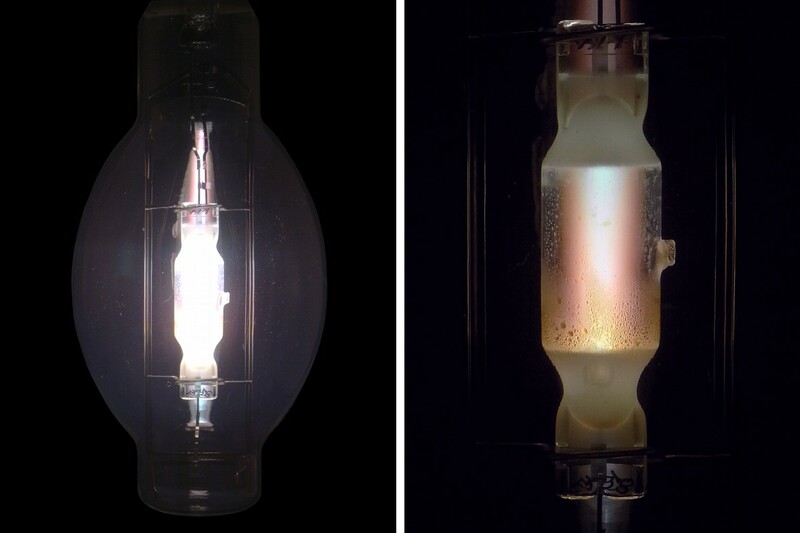 Owing to the proximity of this metal frame to the arc tube in a gas-filled bulb, photoelectric effects led to sodium loss from the arc tube, bringing colour changes and very short life. In 1966 Sylvania invented the so-called "frameless" mount, which increased life to 7,500 hours. 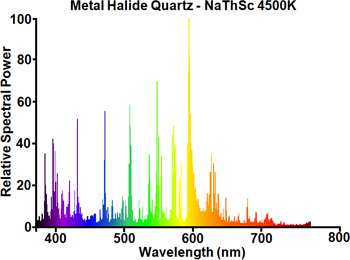 The Thorium fill was also found to limit lamp life, due to is rapid chemical reaction with the quartz and electrodes. 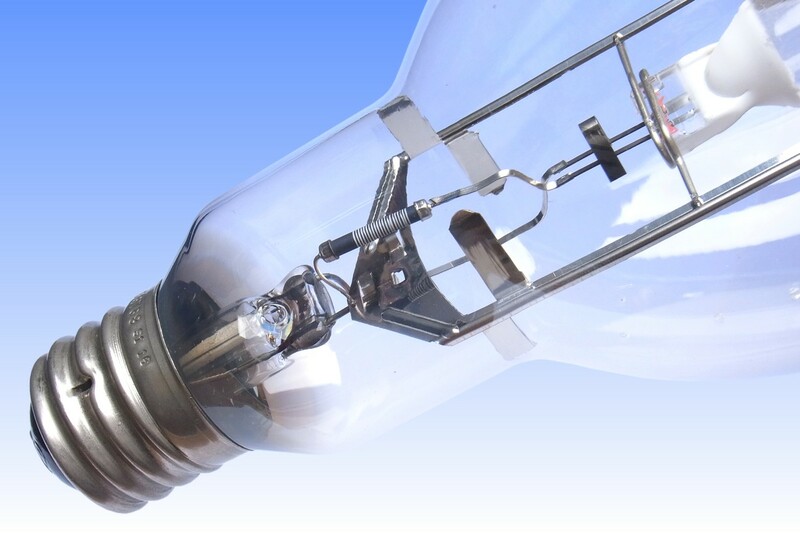 In 1968 MetalArc lamps were redesigned with sodium-scandium-iodide chemistry, increasing life again to about 10,000 hours. 4) Smithsonian Institution Website "Lighting a Revolution"